Desi Auto Care's technicians are experts in providing high-quality repair and maintenance of business fleet vehicles to our customers in Stratford, NJ. 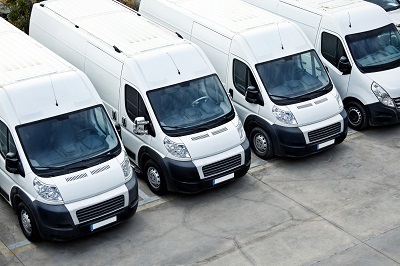 They can work on any type of vehicle in your fleet, offering a bumper-to-bumper service that will give you peace of mind and let you focus on your customers. We perform all repairs, services, and maintenance with urgency, integrity and expert precision for your customer's needs. Desi Auto Care offers the most competitive prices in the entire area. We have a team of ASE Certified technicians who will always provide top-notch mechanical services, along with a superior level of customer service, because they know how important is to prevent any down-time within customer's fleet. Put your trust in us, when we say we are the best business around when it comes to providing reliable, dependable and honest fleet services. Additionally, we provide customers with free pick-up and delivery and with drive-up service when they don't have any free time for an appointment or when they experience an emergency. Desi Auto Care is proud to be your top choice for fleet services and any other auto repair or maintenance services as well. Give ou auto repair shop a call today to schedule your appointment with us!